If you are injured in a crash with an 18-wheeler or commercial vehicle, the process of establishing truck accident liability is often more complicated than in a simple car collision. Even when the truck driver was obviously impaired or negligent, there are many factors involved in proving which party is legally responsible. The truck accident lawyers at Friedman, Levy, Goldfarb & Green understand the complex liability issues at hand in these cases and have produced exceptional results in catastrophic personal injury claims stemming from commercial vehicle accidents. We represent claimants throughout New York City and the surrounding counties who have suffered harm, property damage and financial losses because of the negligence or misconduct of another. Who is liable in a trucking accident? Our knowledgeable attorneys dig deep to identify potential defendants in a commercial vehicle accident case. We have a thorough understanding of both federal trucking regulations and cargo violations allowing us to pinpoint all sources of liability. In most crashes where operator error or driver negligence are the cause, it is the trucking company that is sued for damages. This is based on the legal doctrine of respondent superior which holds that employers are responsible for an employee’s actions. Historically, truck companies have tried to skirt liability by hiring drivers as “independent contractors,” which would shield them from costly insurance payouts. This independent contractor defense commonly raised by trucking companies was essentially banished by recent legislation. The Federal Motor Carrier Safety Regulations (49 C.F.R. 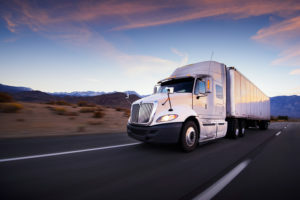 § 390.5) removed the distinction between an “employee” and an “independent contractor.” Now all truck drivers, regardless if they are independently contracted, are legally considered statutory employees of truck carriers. Under present federal law, trucking companies are legally responsible for accident-related expenses when a member of the public is injured by the negligence of the driver of a leased commercial motor vehicle. It’s important to note that Federal Motor Carrier Safety Regulations (FMCSR) preempt contradictory laws in New York State regarding truck accident liability. Whether the accident was caused by a long-haul driver who nodded off at the wheel, a mechanical brake failure or shifting cargo, no one wants to accept responsibility and compensate the victim. Friedman, Levy, Goldfarb & Green assists clients recover the full amount of compensation needed for hospital expenses, incapacitating injuries, pain and suffering. 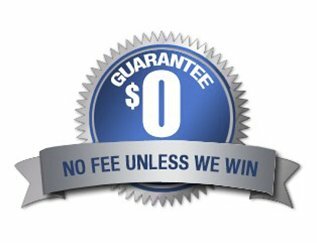 We are veteran litigators and tough adversaries when it comes to negotiating a fair settlement. Commercial truck accident liability insurance is required under federal law. This coverage insures the truck driver for bodily injury and property damages if they are responsible for an accident. Every truck driver must hold a minimum liability policy of $750,000, but most carriers opt for higher levels of coverage. Getting a fair settlement that accurately reflects your injuries, expenses and anticipated losses is a critical step toward rebuilding your health and future. Because truck accidents can result in life-threatening injuries, victims often face lengthy physical recoveries or disability that prevents them from working. Always consult an experienced truck accident lawyer at our firm before accepting a check from the trucking company’s insurance. We know how to protect your interests and maximize the value of your case. If you or a loved one were hurt in a collision involving a commercial truck, contact Friedman, Levy, Goldfarb & Green today to schedule a complimentary consultation. We are experts at establishing liability in truck accidents and are proud to help residents in Manhattan, the Bronx, Brooklyn, Queens, and Long Island.